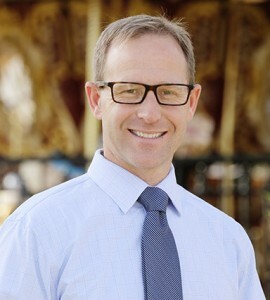 James K. Ott, DDS has been practicing dentistry in St. George for 19 years, and has a reputation for the highest quality in cosmetic and restorative dentistry. Dr. Ott graduated with high honors from the University of the Pacific Dental School in San Francisco, and has a high commitment to continued education. Believing a strong partnership with dental specialists produces the best result in dental treatment, Dr. Ott often collaborates with orthodontists, oral surgeons and other specialists to achieve optimum results. David R. Stevens grew up in Holden, Utah. He graduated from BYU and Attended Dental School at Virginia Commonwealth University in Richmond, Virginia. Following dental school, Dr. Stevens received further training at the Veterans Medical Center in Salt Lake City. Dr Stevens has embraced living in St George by mountain biking ALL YEAR LONG! He has run just about every race you can run in southern Utah including the St George Marathon the St George Iron Man, but his favorite is the True Grit Mountain Bike Race every spring. Dr Stevens’ staff say that he is a true dental nerd. He loves new dental technology, he travels all over the country to gain new dental education and is currently working on a new accreditation with the American Academy of Cosmetic Dentistry. All of this learning and constant growth means he will take care of his patients with amazing skills and care. Dr. Stevens is married to Katie Stevens and has five awesome children that are growing up too fast. Wade F Stevens got tired of being “the other Dr. Stevens” so he has been going by Dr. Wade since shortly after joining the Riverside Dental team to practice with his brother. He even grew a beard so people could tell them apart. He grew up in Holden, Utah. He graduated from Dixie College way before it was a University, then attended Virginia Commonwealth University for dental school. After dental school he did a one year residency at the Veterans Hospital in Salt Lake City. During his residency he attended a continuing education course with Dr. Ott and has been hooked ever since. So, if he is not at the office he is probably in Scottsdale learning more about dentistry. He and his wife, Sarah do not have a lot of time for hobbies as they are constantly running around 5 kids from 4-13 years old. When he does want to relax he enjoys woodworking, crossfit, (though he won’t talk to you about it unless you bring it up), and escaping back to Holden to pretend he is a farmer. If you have met Dr Wade you know he absolutely loves being a dentist but will tell you that what makes his office awesome is the most amazing staff in the country. 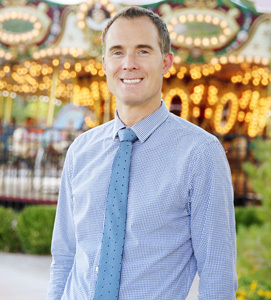 Originally from Provo, Dr. Ellis has been practicing in St. George since 2012. He goes to work with a smile on his face every day because he loves his profession and improving the smiles and overall oral health of his patients. He’s also excited to come home from work to see his wife and three young children. He will spend hours building Lego contraptions with his 6-year-old son, McKay; dressing up like Prince Charming for his princess-obsessed, 4-year-old daughter, Jane; or swinging with his 16-month-old daughter, Annie, on his lap. His kids have their dad wrapped around his finger and he wouldn’t have it any other way. Dr. Ellis loves being part of the great team at Riverside Dental Care and he looks forward to serving you! Matthew Snyder grew up in Sandy, Utah. He graduated from the University of Utah and attended dental school at Virginia Commonwealth University in Richmond, Virginia. 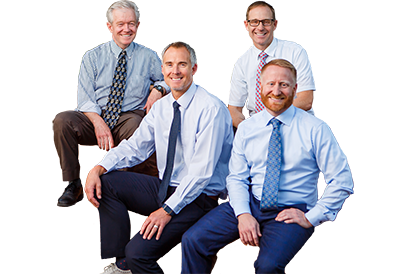 From 2006 to 2018, Dr. Snyder had a private practice in Salt Lake City. 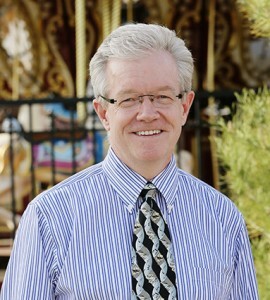 Dr. Snyder recently moved to St. George to join the Riverside Dental Care team. 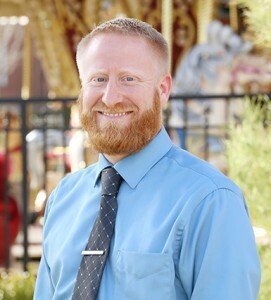 He strives to become a trusted member of the St. George community and has already dedicated over a hundred hours of volunteer work at the Doctors’ Volunteer Clinic and at Dixie State University’s Dental Hygiene School. 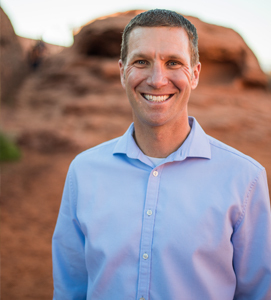 Dr. Snyder is a passionate cyclist and has even won a few mountain bike and cyclocross races. His favorite race is the Crusher in the Tushar in beautiful Fishlake National Forest. He loves to be able to race his bike in the same mountain range where he spent time as a youth riding horses with his grandfather. Dr. Snyder loves teeth! He travels across the country to learn from the leaders in dental education. When he is home, he loves to read dental text books and other health related books to better understand how he can help his patients live healthier lives. Dr. Snyder is married to Jill Snyder and has two incredible boys. They love to be outside, whether it’s hiking in Zion, rock climbing in Snow Canyon, or just playing pickle ball in Little Valley.